Well…its Thursday 11th April…Parkinsons awareness month/day? Where ,Oh! where is there anything in the public and media advertising or promoting this? I have been watching the news, reading newspapers, researching on the internet daily this month(as I do every month) and I cannot find anything out in the public eye about Parkinsons awareness?? There is an item on the BBC about someone with young onset Parkinson’s - which seems to be the only thing the BBC ever covers about PD. I realise that this may be a good way to make the public more sympathetic but it gives the impression that older people with Parkinson’s are less important. Mike Tindall was talking about his father who has Parkinsons on Good Morning Britain this morning. Then the host Adil Ray was talking about his Mum who also has Parkinsons. There was a 2 or 3 minute piece this morning with the PDUK leader being interviewed on Sky News but agree when it comes to charities Parkinson’s really is the poor relation. Disgusting ain’t it. There is absolute apathy amongst the media when it comes to PD … what’s the point of having a ‘awareness week’? I appreciate where you are both coming from and I understand your frustrations towards people’s lack of understanding about Parkinson’s. As such, we want to make as much noise as possible around the campaign. To do this, there is a range of activity that is running that will also engage lots of different audiences. This includes articles in our magazines and the online version of the magazine, events with MPs, corporate partnership activity, lighting up buildings across the UK, gaining a range of press coverage, and producing follow up films with stars of the campaign. We are also asking people to share what Parkinson’s is to them online using the hashtag #ParkinsonIs to help raise awareness and understanding on the condition. People affected by Parkinson’s have been involved in every stage of campaign development: from meeting agencies to feeding back on a selection of ideas. The video itself features real people with Parkinson’s of multiple age groups, whose experiences have shaped the final video and the campaign will be running for six weeks. I hope this provides more clarity on the points you’ve raised. Hi everyone out there, if you live in and around Hinckley, Leics - Hinckley Parkinsons Group are putting on an event in the Argents Mead area of town tomorrow 13th April between 1.00pm and 4.00pm, call in and listen to live bands all playing free of charge for us in the band stand! We are making a song and dance about it all for awareness week so come along and join us, the more the merrier!! I agree the awareness of PD is terrible, I didn’t even know if was PD Awareness Day, no wonder we don’t have the money to find a cure!!! We need to make more people aware of PD and it’s effect on everyday life. I work(ed) as a college lecturer - the majority of my students had never heard of PD before and have no idea on what it is and what ‘conditions’ can happen. Those that did know thought it was ‘just the shakes’. ‘Local’ advertising and campaigns are good but why not pool all the finances and do an advert for national tv screening … surely that’s the best way to raise awareness … and extra funds maybe. As an existing supporter of Parkinson’s UK, you may not see advertising from us for the ‘Parkinson’s Is’ campaign. This is because our video adverts will be carefully targeted to certain people. 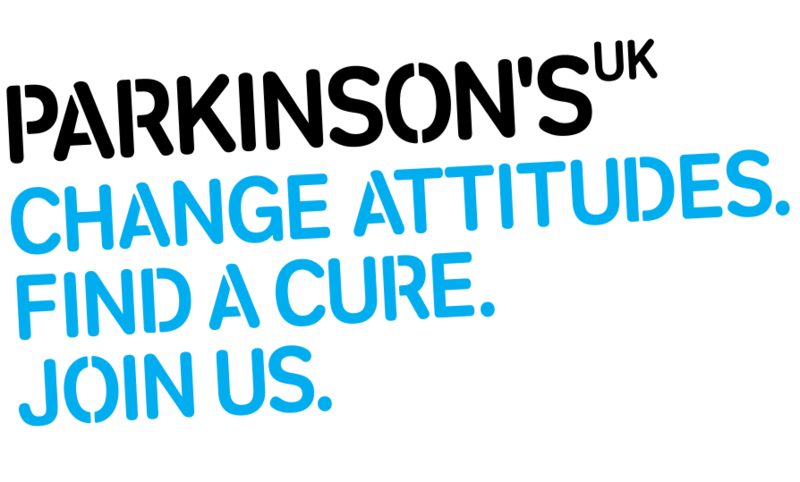 The campaign is aimed at new audiences for Parkinson’s UK who aren’t impacted by the condition. This will help connect even more people to Parkinson’s. We’re aiming to increase awareness that Parkinson’s is serious in a younger audience (aged 25 - 44 years old), who spend a lot of time online. We’re also targeting more traditional charity supporters (aged 45+), who are likely to engage with charity campaigns. These audiences have been chosen as our research shows they are open to supporting us. However, you will still see content supporting the campaign on Parkinson’s UK’s social media channels (Facebook, Instagram, Twitter and LinkedIn) and stories placed by our media team in the press.